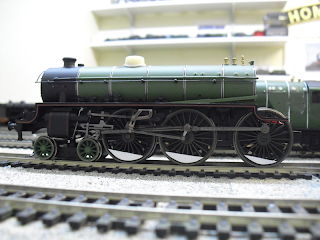 THE BRITISH RAILWAY STORIES LTD: "Thompson B3/3: Cab, balance weights..."
Building model locomotives has been my way of letting off steam for a few years now. I can feel the stress and anxieties melt away as I start chopping, filing, gluing and soldering bits and bobs to make new models. The current project is my Thompson B3/3 build, which is starting to get into its stride and take over just about all my modelling time. I see it on the workbench and I long to get the next bit done. The "next bit" in question this evening, along with the driving wheel balance weights, was sorting the cab. 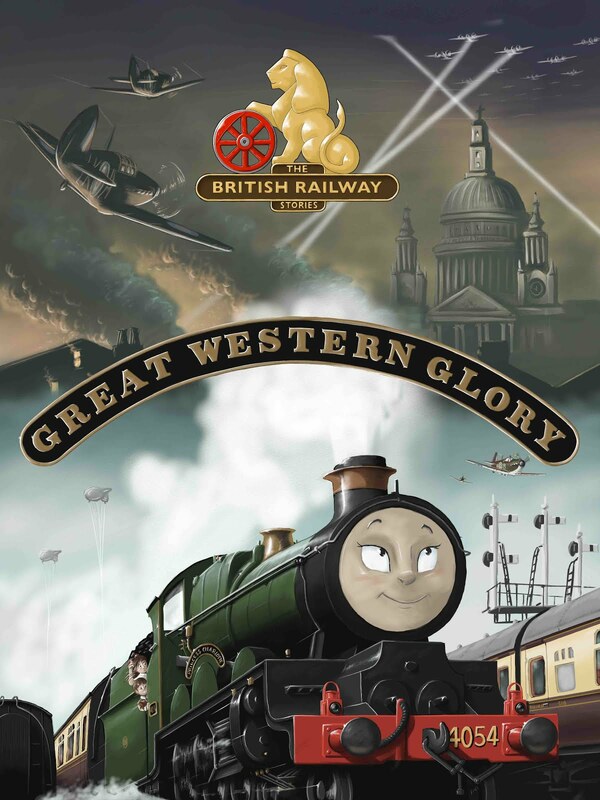 If you're a Peppercorn A2 fan, best to look away now. 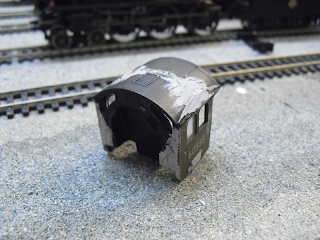 A cab left over from a Thompson A2/3 conversion (in fact THE Thompson A2/3 conversion: the prototype Graeme King did as a commission for me, and which spawned all of the other Thompson conversions which have come to pass in the last two years) was used as part of a cut and shut. This is because I discovered the Peppercorn A2 cab's side sheets had the windows pitched in exactly the right position, with the right shape, and were (in addition to the width of the side sheets) also the correct length for the B3/3. I therefore cut them out, and then cut them to size to the existing B1 cab. 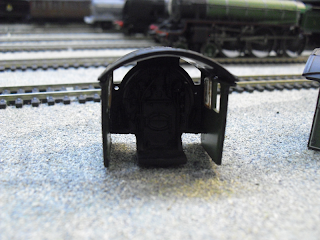 The side sheets on the B1 cab had to be removed, along with the splashers in the cab. 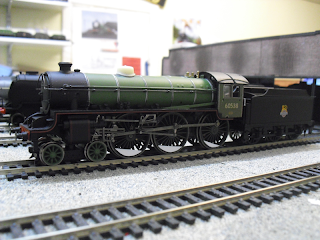 I should mention that the original splashers were not deep enough for the larger Royal Scot wheels and consequently a new set will have to be fabricated from plasticard, along with a new cab floor. Gamesworkshops green putty, along with some Humbrol plastic filler, were used to bring all the pieces together, and also fill in any redundant Peppercorn A2 odds and ends. This will be carefully filed back and sanded down smooth tomorrow after my errands. 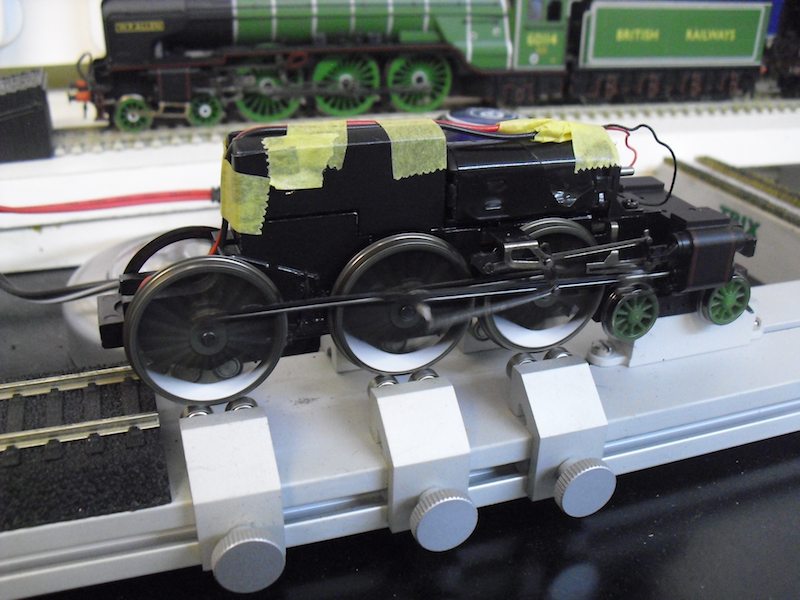 The final job for the day was fitting some new plasticard balance weights for the driving wheels. Once these have stuck firmly, I will filed away the Royal Scot balance weights which are just about visible underneath still. All in all, not a bad day's work on the B3/3, and I even managed to fit in a good hour's running on the rolling road too. 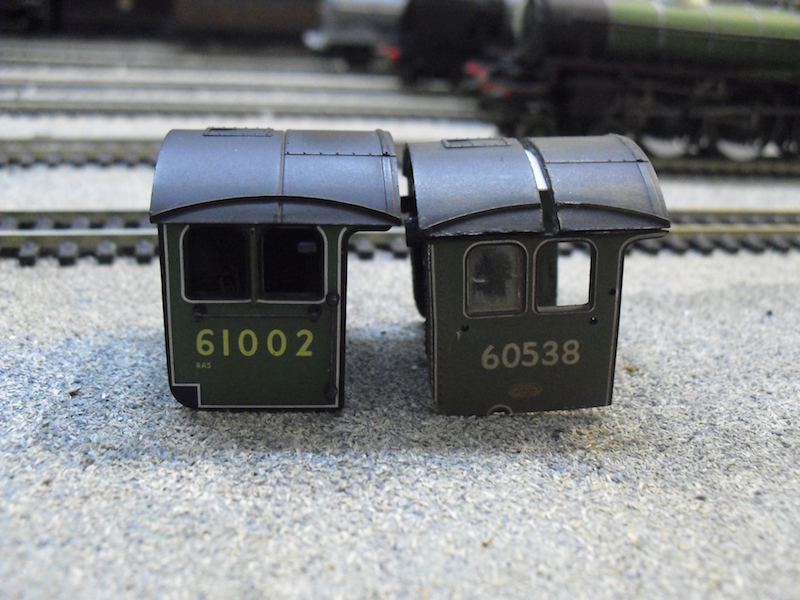 are you going to do anything about the cab detail? maybe paint it? Hello, really enjoy reading the blog wondered if you could give me a few tips when it comes to modelling? Firstly how do you do your painting, I've tried various techniques but I struggle to get a finish I'm happy with. Secondly I was wondering about transfers and name plates for locomotives, how do you go about getting them? George, I may yet do some painting in the cab. Anonymous, my painting varies from brush painting to airbrushing. I have found airbrushing is giving me finishes I am much happier with. Brush painting black components is acceptable however. 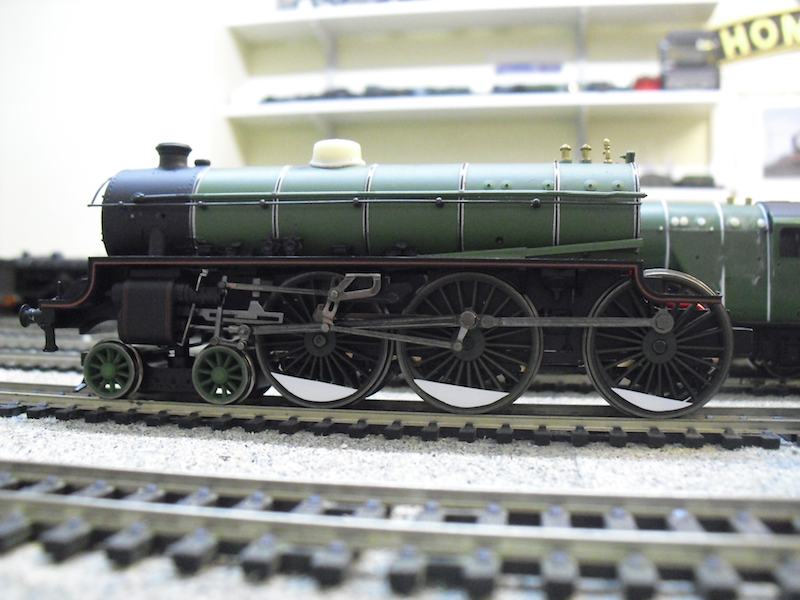 I get most of my transfers and nameplates from Fox Transfers and Modelmaster online.